Comments: RECEIVE IN 2-3 BUSINESS DAYS WHEN YOU CHOOSE EXPEDITED SHIPPING! * Used books cannot guarantee unused access codes or working CD's! Comments: 128585943X Purchase from an Independent family-owned Bookshop! Used Book in GOOD condition. May have highlighting, writing, underlining, and/or other marks. Book only; may NOT contain any supplements, CDs/DVDs, or additional material. Please note that all access cards, access codes, MyLab access, e-book access, and any other code may have been redeemed by the previous owner and are NOT included. 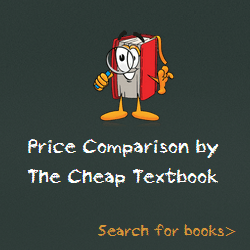 This entry was posted in Book and tagged 128585943X, 978-1285859439, Top Textbook 2018 on January 11, 2018 by Textbooks.